This leisurely road trip around Iceland gives you ample free time and flexibility to explore! Visit the country's renowned waterfalls, geysers, fjords, glaciers, iceberg lagoons and volcanic sites, while experiencing the country's flourishing culture. The package allows you to have the ultimate road trip in Iceland, with plenty of time to roam and enjoy exciting optional activities like glacier walks, horseriding, wildlife watching, and kayaking. On arrival to Keflavik Airport, you will be greeted by a driver who will take you to your accommodation in Reykjavík. After settling in, the rest of the day is free for you to explore the vibrant city centre and its many museums, restaurants and bars for all tastes. If you're interested in checking out Icelandic design or experiencing the city's thriving coffee culture, head to the main street, Laugavegur, to enjoy its various shops and cosy cafes. Collect your rental car in the morning and begin your journey on the classic “Golden Circle” route, home to some of Iceland’s most popular attractions. 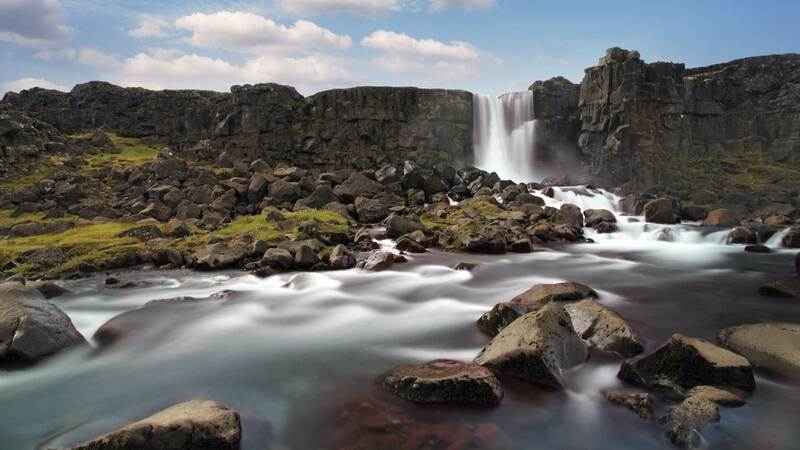 Start with a visit to the fascinating Þingvellir National Park, a UNESCO World Heritage Site. Here, you can walk on a path in the rift valley between the North American and Eurasian tectonic plates. 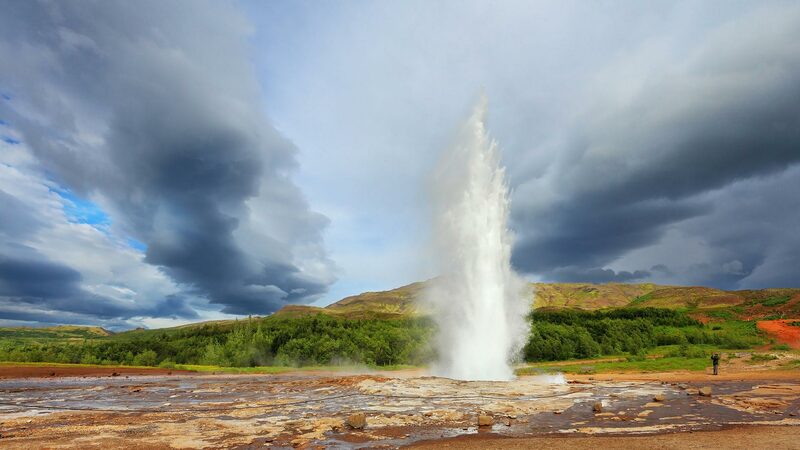 Next on the route is the Haukadalur geothermal area, where you can see Geysir—the original “geyser”—and its more active neighbour, Strokkur, which spouts water every few minutes. End the circle with visits to the majestic Gullfoss waterfall and the old implosion crater of Kerið. 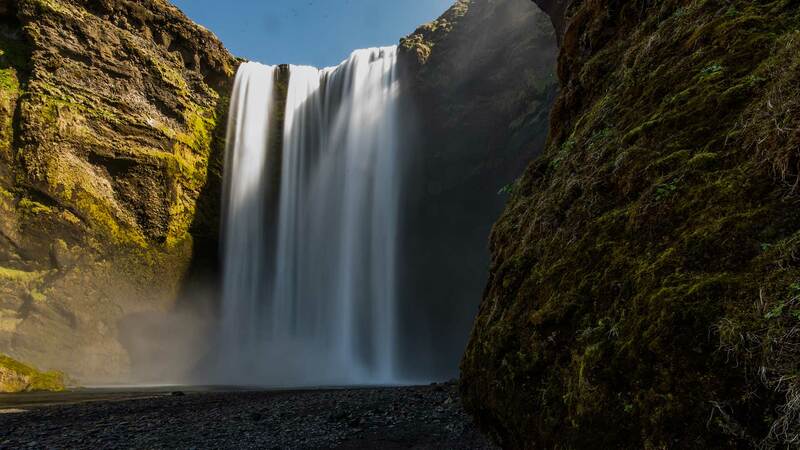 Head to the south coast and visit the majestic Seljalandsfoss waterfall — where you can walk right behind the misty cascade — and the equally impressive Skógafoss waterfall. Further along near Vík, make a stop to admire the black volcanic beach and the dramatic Dyrhólaey and Reynisdrangar rock formations. 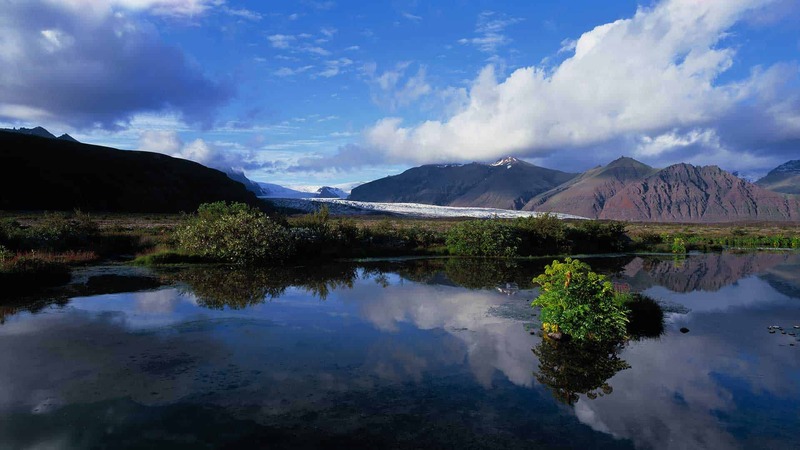 Other sights on the way include the Mýrdalsjökull glacier and the quaint village of Kirkjubæjarklaustur. Spend the night in the Kirkjubæjarklaustur or Skaftafell area. Driving distance approx. 200 km / 124 mi. 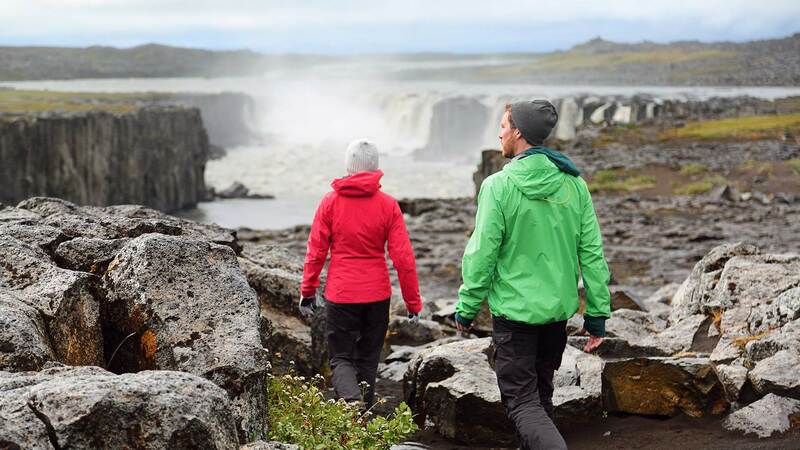 Enjoy Skaftafell, a place of great natural beauty with many well-marked hiking trails, including a moderate walk to the beautiful Svartifoss waterfall (4 km / 2 miles roundtrip). This region is full of opportunities for adventurous pursuits, including guided glacier walks and ice-climbing excursions. Then head to the spectacular Jökulsárlón glacier lagoon, where you can ride a boat along a maze of floating icebergs (optional). Driving distance approx. 205 km / 129 mi. 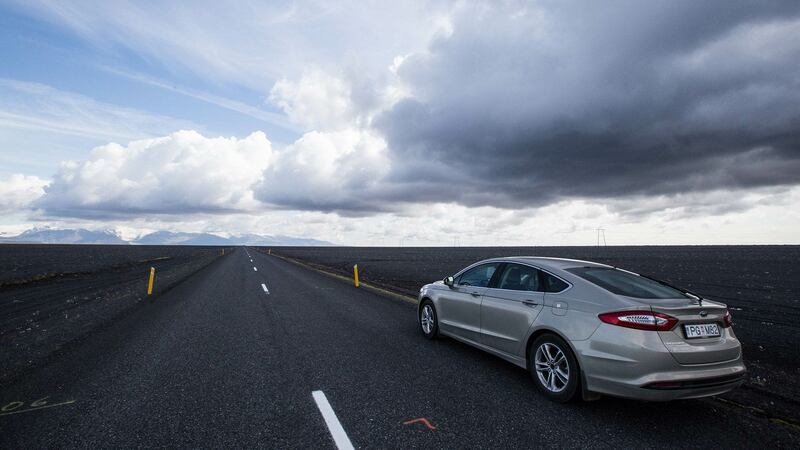 Today’s drive in East Iceland takes you along tranquil fishing villages, spectacular fjords and sweeping landscapes. Anyone who enjoys offbeat attractions – particularly geology buffs or garden enthusiasts –will want to visit Petra’s Mineral Collection in Stöðvarfjörður, a small museum of found natural objects and mineral rocks, which began as a hobby by a local resident. End the day in the area of Egilsstaðir, where you will find the monster habitat Lagafljót and Hallormsstaðarskógur forest, the largest wooded area in Iceland. A visit to the Wilderness Center – Óbyggðasetrið is highly recommended, an old farm turned into a exhibition, guesthouse, café, located at the end of the fjord leading into the deep valley, close to the highlands. Spend the night in Egilsstaðir or Seyðisfjörður. Driving distance approx. 256 km / 159 mi. Drive to Seyðisfjörður, one of the most enchanting villages in Iceland with its well-preserved wooden houses, steep mountains and picture-perfect fjord scenery. Then head to Bakkagerði, one of Iceland’s most isolated and smallest villages. But what it lacks in humans, it makes up for with other “residents” – it is rumoured to have the largest colony of elves and fairies in the country as well as a thriving bird population. Here, you will have the best chance to view the curious and colourful puffins up close, and it’s a great place for hiking! Other attractions in the region include a hiking trail leading to Hengifoss, one of Iceland’s tallest waterfalls at 118 metres high. Spend the night in the Egilsstaðir/Seyðisfjörður area. Driving distance approx. 191 km / 118 mi. Today’s drive brings you to the Lake Mývatn region, a hotbed of volcanic landscapes including the Námaskarð Pass, Skútustaðagígar pseudo craters, Dimmuborgir lava formations and Krafla, one of Iceland’s most fascinating volcanoes. Later, take a dip in the soothing milky blue geothermal waters of the Mývatn Nature Baths, the perfect way to relax after a full day of sightseeing. Driving distance approx. 165 km / 108 mi. Use this day to explore more of Lake Mývatn and its unique surroundings. We recommend a drive through the Jökulsárgljúfur part of Vatnajökull National Park, visiting such sights as the Ásbyrgi canyon and Dettifoss, the most powerful waterfall in Europe. Another great option is to join a whale watching tour at the nearby village of Húsavík, “the whale watching capital of Europe”. Spend another night in the Mývatn area. Driving distance approx. 255 km / 108 mi. 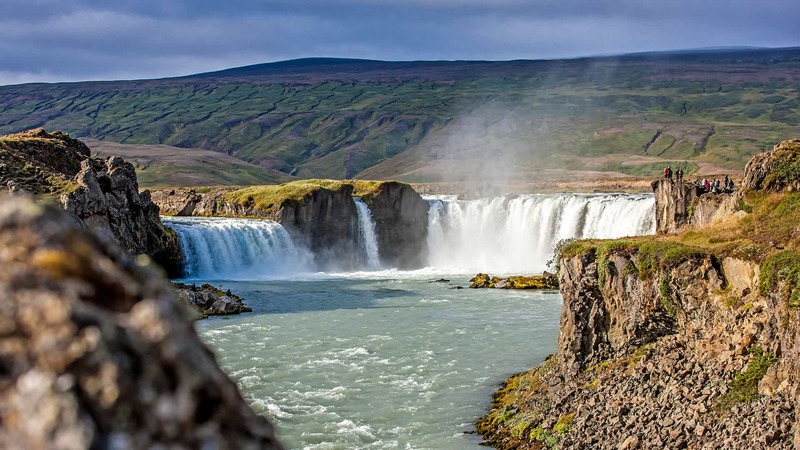 We recommend a visit to Goðafoss (“waterfall of the gods”) on your way to the charming town of Akureyri, where you will find many interesting shops and museums as well as the world's most northerly botanical garden. After your break in Akureyri, head to Tröllaskagi (“The Peninsula of the Trolls”), where you can enjoy fantastic scenery of beautiful mountains, cliffs and fjords. 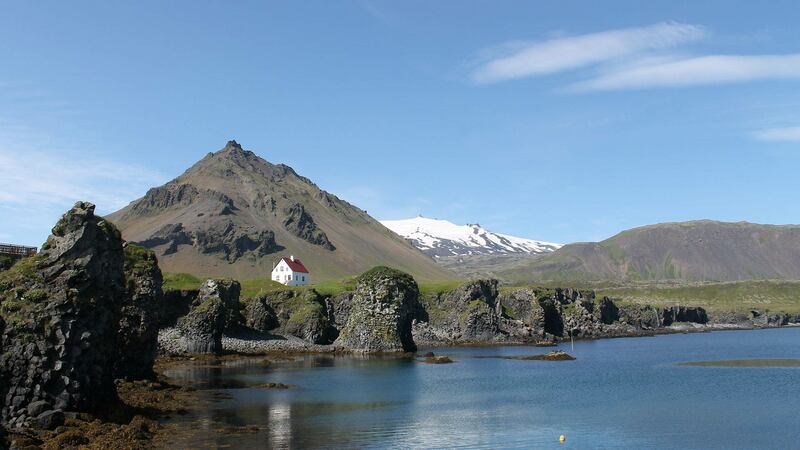 There you can take a short ferry ride to the island of Hrísey before driving to Dalvík and then to Siglufjörður, which was once the centre of Iceland’s herring fleet. Finally, make your way through the beautiful valley of Skagafjörður. On the way you can visit the folk museum in Glaumbær, a restored turf farmhouse dating from 1750. Today marks the beginning of your journey around the beautiful West Fjords, one of the most remote, unspoilt regions in Iceland. Sights along the way include the countless mounds of Vatnsdalshólar, the Borgarvirki natural fortress, the Hvítserkur rock formation (which some say resembles a rhino) and Illugastaðir, where you are likely to find seals at play. Continue the drive to Hólmavík where you will find the Icelandic Sorcery and Witchcraft Museum, the Sorcerer’s Cottage and the hot natural pools in Drangsnes are also well worth a visit. Spend the night in the Hólmavík area. Today’s journey is characterized by endless but dramatic fjords and towering mountains. In Ísafjörður, the biggest settlement in the region, you‘ll find some of the most historic houses in Iceland, dating back to the mid-18th century. In the afternoon, we suggest a drive to Bolungarvík for a visit to the Ósvör Maritime Museum and a visit to the radar station on top of Bolafjall where, on a clear day, you can have amazing views over the uninhabited Hornstrandir Nature Reserve. Spend the night in the Ísafjörður area. Driving distance approx. 220 km / 136 mi. Today we recommend joining a guided boat tour from Ísafjördur to the small, charming island of Vigur, where you can see an abundance of birds in their natural environment including eider ducks, arctic terns, puffins, black guillemot, and more (when in season). Today can also be spent enjoying the scenic nature surrounding Ísafjörður, joining optional activities such as a guided walk, kayaking tour and enjoying a unique dining dining experience at the well known Tjöruhúsið restaurant, which serves fresh fish from the local fishermen. Drive to Dýrafjörður, where you will find the trail of the Viking Saga hero Gisli Súrsson as well as Skrúður, the oldest botanical garden in Iceland. Then head to Hrafnseyri, where you can visit a museum dedicated to Jón Sigurðsson, hero of Iceland’s battle for independence. Next up is the impressive seven-tiered Dynjandi waterfall on your way to the breath-taking Látrabjarg cliffs, the westernmost point of Europe. There you can get a closer look at some of the millions of nesting sea birds such as puffins and razorbills (when in season). Spend the night in the Patreksfjörður area. Driving distance approx. 290 km / 178 mi. 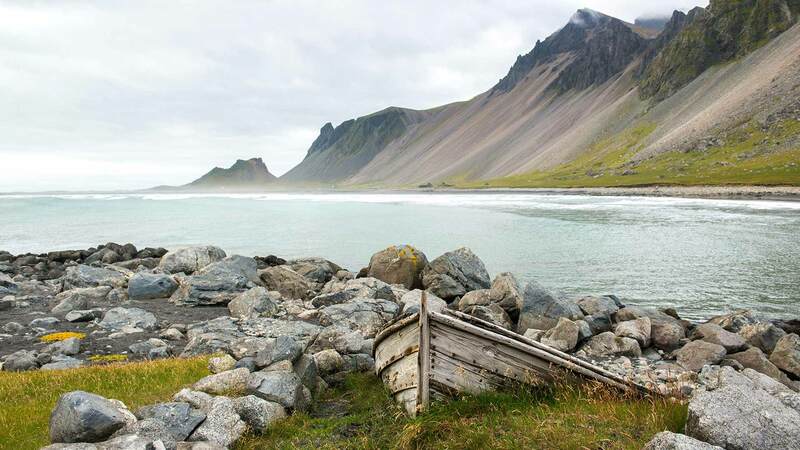 Today, you can visit the golden beach of Rauðisandur and even relax in a natural hot pool at Vatnsfjörður nature reserve before taking the ferry over Breiðafjörður Bay to Snæfellsnes Peninsula. * Then you can set out to explore the unique landscapes around Snæfellsjökull glacier for the rest of the day. It is also possible to make a stopover and even spend the night on Flatey, a small island renowned for its birdlife. Driving distance approx. 70 km. / 105 mi. Explore the magical Snæfellsjökull National Park with its rich birdlife, lush valleys, rugged lava fields and towering glacier-capped volcano. Driving along the coast of this scenic peninsula you can stop to visit such sights as Dritvík Cove, the Lóndrangar Cliffs, Hellnar, the Arnarstapi Cliffs and small fishing villages on the coast. You may also wish to test your strength at Djúpalónssandur, a black volcanic beach with “lifting stones” that sailors in old days used to prove their strength and determine their roles on the fishing boats. Driving distance approx. 225 km / 146 mi. Today is all about exploring West Iceland’s diverse attractions such as the twin waterfalls Hraunfossar and Barnafoss along with the Deildartunguhver hot spring, and Háafell Goat Farm. 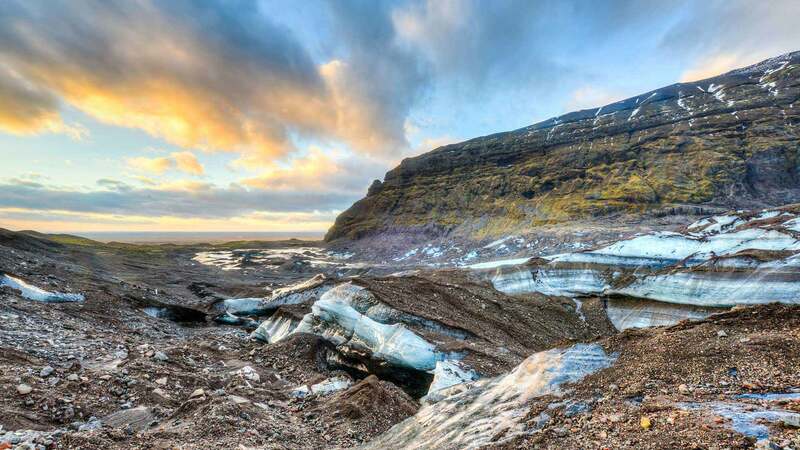 You also have the choice of joining several optional activities such as the Krauma geothermal baths, the lava tunnel Víðgelmir, venturing inside a glacier or experiencing a thrilling snowmobile tour on top of a glacier. For those interested in the Viking history of Iceland, a stop at the Icelandic Settlement Center in Borgarnes is highly recommended. Driving distance approx. 185 km / 105 mi. On your day of departure, a shuttle bus will collect you from your accommodation in Reykjavík and transport you to Keflavík International Airport in time for your scheduled flight. If you are departing in the afternoon, you have the option of enjoying some additional sightseeing, shopping or relaxing in Reykjavik after this long and enjoyable holiday.